Enter promo code Domain2019 to receive your domain for $1. What you Get FREE with Every Domain Registration. 24x7 Phone, Ticket, Email and Live Chat Support Available. Manage all your domain DNS records from 1 easy dashboard. As easy it is to transfer to us its also easy to transfer away. Take control of all your domains, renewals, billing and services in one place. What’s a domain name and why do I need it? The first thing to do is to find the domain extension that is suited to you and your location. Domain extensions can be global such as .com or .org, or country specific such as .au for Australia and .us for USA. Which extension you choose mainly depends on the country you are in and the type of business you operate. Our consultants will be able to assist you with any questions. How do you manage your domain name ? Our easy to use Dashboard and Domain Manager makes it a breeze to manage your domain name. Every domain purchased will get access to our easy to use domain manager so you can register, renew and manage your domain name. Once you decide on your hosting package it’s as simple as one click to connect your domain to your new hosting platform. You will also be able to manage user access and all company information through this easy to use dashboard. And should you need any assistance our 24×7 support team is always here to help. This depends completely on that particular domain extension, where different rules apply to different extensions. The limit for registration ranges from one year to ten years. This limit is established for many reasons and is set by industry bodies. 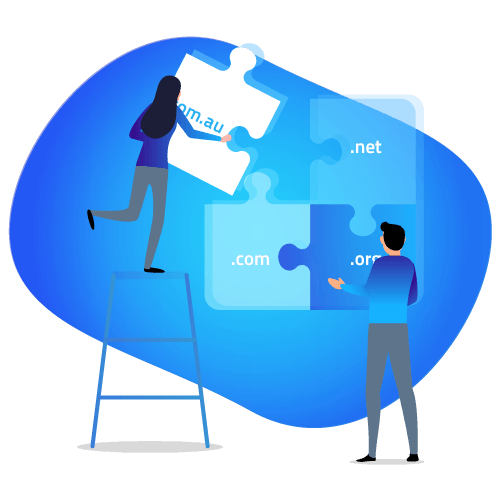 Please keep in mind that Australian domains such as .com.au, .net.au, .org.au, .asn.au and .id.au cannot be registered for more than two years. Domain Forwarding lets you redirect a user to a different website by clicking on your domain name. This can be useful when you have changed your website or simply want a redirection domain. Through our easy to use Dashboard you will be able to make any domain forwarding changes easily. Managing your domain name is a simple task with our Domain Manager that you get with every registration. Manage your domain names, renewals, invoices and other details without any hassle. It’s such a relief to finally be with a tech company that is reliable, efficient, friendly and always on the ball. Others could learn a lot from the DQ crew. Very thankful I made the switch. 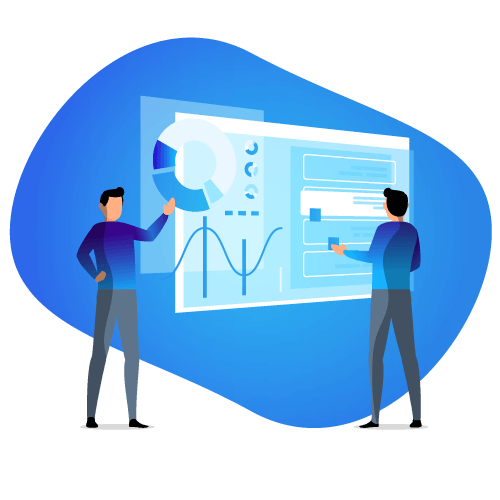 To the team at Data Quest, I would like to thank you all for your attention to detail, fast response times (within minutes) and solving the issues we have had with expert information, customer service and outcomes. I can honestly recommend them!, from speedy customer service to the follow up email support and phone calls, My website was in shambles being hosted elsewhere and emails all over the place to say the least, however after explaining the issues in layman’s terms and the DQ team catching on they have made things a breeze! Boots Clothes Safety Team will be surely to recommend DQ to people. Well done team at DQ! I cannot recommend DQ highly enough. We have a DQ VPS hosting our complex, high traffic site. Performance is excellent. Service is exceptional. I have purchased dozens of hosting packages over the years from many different providers. DQ is the best I have found. The service we have received from DQ Digital is second to none. Every request has been done in a timely and efficient manner. Our email and website has never worked better since having it hosted by DQ. We Partner With the Best so You Get the Best.